I used to love the lime flavour of this! Wish they'd bring it back! Now they have that awful artificial aftertaste. I used to love this, not any more sadly. I wander what else in Banana I can try ? Only powders I think about. 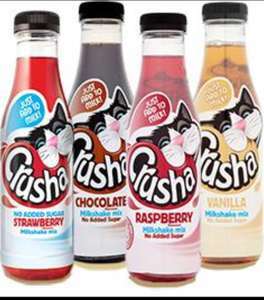 A glass’a crusha, it’s tough enough, to make milk shaaaaaaaake. 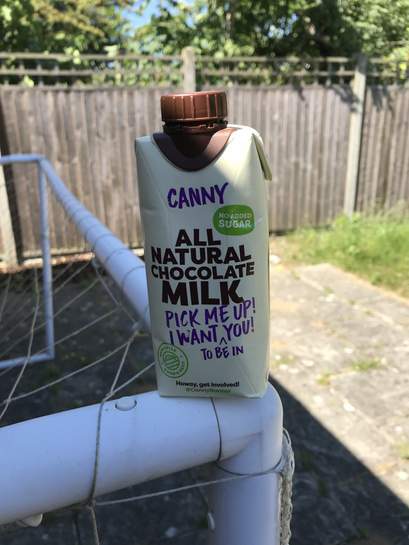 You need to try one of these Canny 100% natural. Tesco only stock the no added sugar variants of Crusha, that's what makes them taste so bad! Last time I looked Sainsbury's still did the raspberry flavour in the original version as well as the no added sugar version. Agree with the earlier posts that the no added sugar versions leave a horrible artificial aftertaste. I'm in the minority? Anyone from the 'Nesquik Massive' around? Love these, was brought up on them & my 4yo daughter loves them too. Do you know what email he uses? !